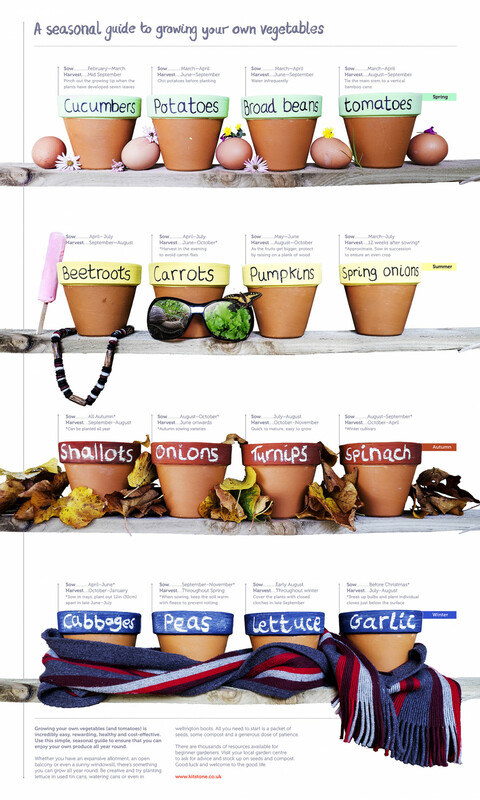 If you fancy taking to the garden this year and growing your own vegetables then here's a great guide that could help. Produced by Kit Stone, it lays out a quick seasonal guide for Spring, Summer, Autumn and Winter with a look at some of the veg that can be grown in the different seasons. From onions and turnips in Autumn to carrots and pumpkins in Summer - the infograpic tells you when to plant seeds and when the veg should be harvested. This is a quick reference point and a great starter for anyone who had no idea of when certain ingredients are in season.